Any construction project needs proper planning. Apart from actually writing down the plans, and organizing the cost, you also need to see what sort of equipment is required. 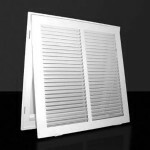 Whether you need wall vents, return air vents or a variety of other equipment, it is important to have a list. This way, you can start looking for equipment as soon as possible. The Fresh Air Manufacturing Company, FAMCO, was established in 1989. They have provided many of their clients with plastic, sheet metal, and copper return air vents as well as other ventilation and construction related products throughout the years. Due to this, they are now one of the biggest manufacturers in the entire country. Individuals can take advantage of their easy to use website. Presented in a clear manner, customers have a variety of catalogs where products are displayed. It is also possible to sign up and create an account. Those who become members will be able to receive a reduction of ten percent on the next product they buy. For people who want more information about the products they need, details and specifications are available. Product descriptions will also list the different features. If you are concerned about anything else, then simply contact the company. Contracting firms looking for decent quality equipment will understand how important this is. Customers need to know they are getting the best and most professional service out there. Quality equipment means less chance of repair. For companies who install ventilation devices and carry out construction work, this is vital. Fewer complaints and better service mean an even better reputation. Everyone will benefit from this. Private customers also want to make sure that there is little need for repair. Infrastructure in the home needs to be built to last a long time. If you are concerned about anything, then there are various accessories available as well. HVAC dampers can have new motors fitted quite easily. Catalogs exist for these products too and can be viewed by customers on our informative website. For all of the best prices, reductions and good quality return air vents, wall caps, electric dampers and products, you can look to FAMCO. Always make sure to read the product descriptions and keep a note of the cost. Ordering is quite easy and delivery will usually take a few days. Above all, quality and convenience are what every customer is looking for. Everyone can find what they need by searching through the website.